Getting off to a good start is what every batsman dreams of and even more so in the fast-paced and frenetic nature of the T20I format. Although everyone wants to do well, not all get the opportunity to express themselves on debut. Scoring a fifty in a T20I is difficult, especially if you aren't batting in the top-order due to the lack of deliveries. 14 players have managed to get off to the dream start in their T20I career by scoring a fifty. But not everyone is that lucky, some have had to wait for a long time to get their maiden T20I fifty. So, who has taken the most number of innings to score their maiden T20I fifty? MS Dhoni got his first T20I fifty, a decade after making his debut in the format and unsurprisingly makes this list. At number five on this list is the first of two Afghanistan stars. Keeper Karim Sadiq took 31 innings to score his one and only T20I fifty. Despite batting in the top order for most of his T20I career, Sadiq only managed one fifty in his six-year stint in T20Is. 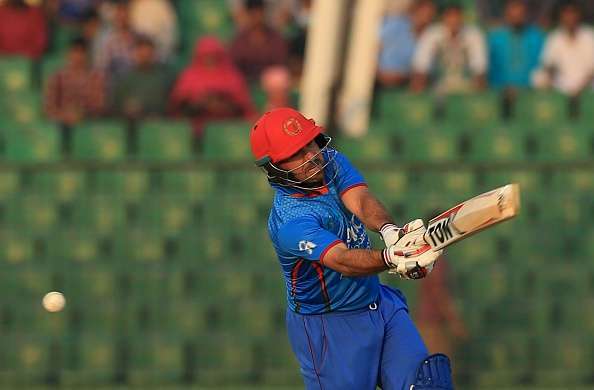 In his 34 T20Is, the Afghanistan keeper managed just 505 runs at an average of 14.85 and strike rate of just 110. His solitary fifty came in the first match of the qualifying stage of the Asia Cup against United Arab Emirates, which was his 31st T20I innings. Before that game, his highest score was just 42, but chasing 177 for victory against UAE, Sadiq delivered his career-best T20I performance. Walking in with the score at 9/2 in the third over, he scored a 48-ball 72 that ultimately wasn't enough to take his side home.